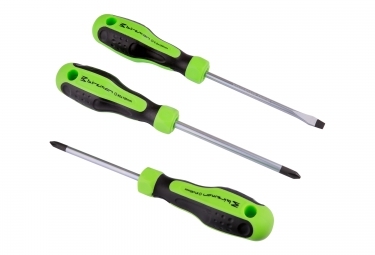 Three pieces per set, including two crosshead and one flathead screwdrivers. Different screwdrivers for various user requirements. Comfortable handle with ergonomic, anti-slip E13 design.